Collecting customer data is important, but how do you ensure that you’re making the best use of it? Here are our tips for maximizing your customer insights. Gathering data on your customers may not seem like much by itself, but turning it into insights. And using that to develop your business strategies can make a world of difference! The idea that your customer should be at the center of everything your business does is nothing new, right? Being able to adeptly utilize data on your audience to drive your business activities is essential to how well your company performs. aining info about your customers and using technology and wit to apply them to your business is critical to business growth. Spotting patterns in the behavior of your audience, and marrying those with social and technological trends, will give you a distinct competitive advantage. If you correctly satisfy the needs and wishes of your market before your competitors do then you’ll be in a winning position. Failure to do so will be at your company’s peril. Don’t risk being another Blockbuster (who is now down to their last store). If you as a company apply all your efforts and put all your weight behind creating an exceptional customer experience, it will yield incredible results. This way, insights act as a source of competitive advantage. The business that can harvest and capitalize on customer insights the most, is the business that remains relevant and wins the race. The trends that are revealed with Big Data Processing are not an info good enough to be acted upon alone. If you conduct additional research through your insights community, you can find the reasons behind those trends and act to make the most of it, whether minimizing the damage or maximizing the profit. Going crowdsourcing allows you to gather insights from outside your usual customer pool, giving more precise results. Not to mention that crowdsourcing boosts your brand, as people who are engaged feel more appreciated and become advocates for your brand. There are two ways to extract further info from your community. The first one, segmentation, allows you to identify and compare differences and similarities between various layers or niches of your customer groups, which then allows more actionable insights. The second one is a broader, 360-degrees analysis of your customers’ behavior outside of your community. Finding out their interests and habits allows you to integrate them into your strategy, further increasing their engagement rates. Conduct analyses with your employees, collaborators, and third-party partners. Asking for their opinion of your business can be just as valuable as your customers. Whether you increase your market presence by providing stores with compelling evidence that the market loves your product or developing more personal campaigns using deeper customer insights, it matters little, so long as you rely on applied insights more. What Customer Insights You Should Collect? “Collecting customer data helps you know each customer more individually and treat them that way,” ~ Jeff Tanner, professor of marketing, Baylor University. The answer to this question lies in the relationship of your business with your customers. 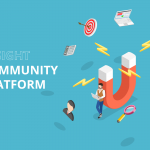 Consider that the goal of collecting insights is to not only understand your audience better but to also develop ways to create a more intimate bond with your community members. You can also those insights to attract more customers of similar interests. Personal data includes standard information such as names, contact details, mailing, and email addresses. 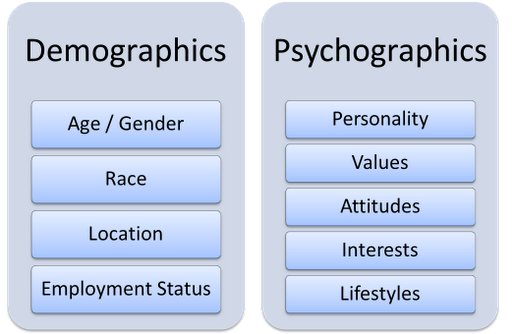 Demographic data includes things like age, gender, income, socio-cultural background, etc. These allow you to divide data into user segmentation groups, which means that you can personalize contact with every “type” of a customer, or projected customer archetype, increasing efficiency and making sure that all offers reach those who would like them the most. The next step is going deeper and more intimate – gathering psychographic data. Now we’re talking about gathering details about their personalities, personal values, and lifestyle choices. The finer distinction you make, the greater the chances of you to be able to create a custom offer that will be accepted. For example, if you find out that your customer loves traveling, you can craft an offer in that niche that is far more likely to cause an engagement than something generic. Finally, you can also track transaction history (“basket analysis”, utilized by e.g. Amazon) and automatically deliver personalized product recommendations that are based on previous purchases. There are two factors that, if they are not met, undermine the importance of all analyses. The first one is the value of information. Finding out that Kelly likes spaghetti, has 4 sisters, and plays basketball means nothing if you’re trying to sell her a dress. But finding out that she loves red, simple designs, and cotton allows you to personalize your offer. This may be a crude example, but the fact remains: to make use of customer data you have to find out if it is of value to you. The second one is what you do with that data. Research shows that companies that make maximum use of customer behavioral insights outperform their rivals by 85 percent in sales growth and more than 25 percent in gross margin. (mckinsey.com) Commencing qualitative research twice a year just for the sake of it won’t get you anywhere. Your strategies need to revolve around these results for them to be relevant to you. 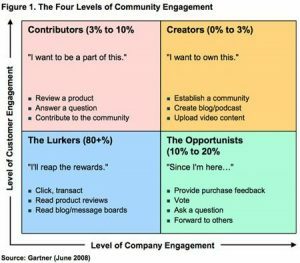 The insights you gather reflect the state of your community and vice versa. Because of this, your goal when it comes to gathering insights is to include as many as possible in the process. For this, you need to invite and engage participants. There may need to be an incentive for them to go through menial and petty tasks like filling out queries and answering surveys. Show that you actually listen. Conducting research without covering them up with deeds will alienate most of your audience. Try to make your research methods interesting. Add a twist to it in order to incentivize – a lottery where all the participants of the query have a chance of winning? A badge to show them that you value their contribution? The options are as many as your creativity goes. Note that the motivation is more powerful if it’s intrinsic, an idea we explored in our 10 Things We’ve Learned About Community Building For Businesses post. Create actionable tasks based on your consumer insights that will really make a difference in your business. We cover these three components in detail here. 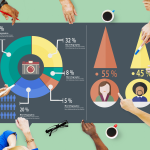 Once you’ve gathered info on your customers and drawn portraits of your ideal customers and their needs (both of these explained above), you have to connect the dots that connect those with your brand and show how it can meet them. All data that helps connect your brand and the needs of your customers is data that you can use – the rest is of little to no use to you. Treasure the useful info, since it is what will be used as a foundation for your business strategies. You’ll need to decide whether to archive or delete the rest of your data. Once you’ve gathered and filtered all those insights, you need to construct actionable strategies. Let’s say that you found that 13% of your customer base has interests that match those of Kelly with the dress and that there is a potential of additional 8% growth of that same ideal customer segmentation profile. Your next step might be to develop strategies to reach out to and attract more of that segment. Any resulting growth is therefore data-led. That’s much better than hoping, right? After you’ve done calculations for the current state of your business and acted upon them, you can similarly predict what steps you can take in the future by tracking the patterns of behavior of your customers. If you find that “Kellys” like all those simple red cotton dresses and they form a substantial percentage of your customer base, you can expect that your business will produce more products that fit these categories. If, on the other hand, you get an influx of “Janes” who are more inclined towards blue, and they outnumber “Kellys”, you can likewise expect to change your production. This way we can see that “chance” and “guess” are removed from the game if you utilize customer insights properly – you’re left with certainty and security only. 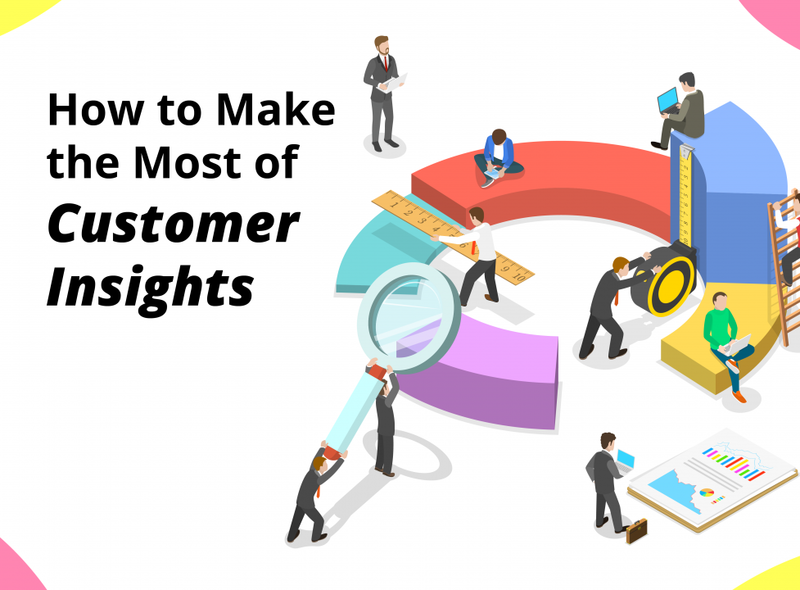 Some of the barriers to making the most of Customer Insights include: Building an insights platform from scratch when you’re inexperienced All the benefits of having a system for gathering customer insights sounds great, but lack of experience in building such a system can be expensive. Pre-built and flexible customer insights platforms can save you a whole bunch of time, money and stress. Relying on automated processes Machines can be super fast at gathering and even analyzing data, but humans are still better at deriving meaning from that data. For instance, what good is using software to generate automated reports on a weekly or monthly basis if your team is not reviewing the reporting to discern which information is actually valuable to your organization and how you can use it to your advantage? The Software can help you, but it cannot replace you (yet). Expecting everyone to participate in your community It simply won’t happen. In fact, reaching a 10% core group of users who engage with your customer insights community regularly can be considered a success.